With a history of 3,000 years, Athens, the capital of Greece, is the oldest still-inhabited city in Europe. Located almost in the center of the country, it serves as a transportation hub to the Greek islands and various places of the mainland. 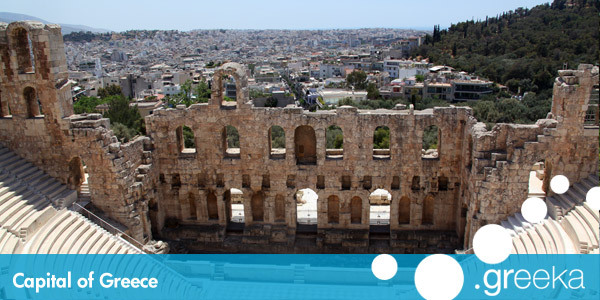 A city of contrasts, Athens combines Classical, Neoclassical and modern architecture. You will see busy shopping streets and secluded paved paths, all in the city centre. The most important sightseings are in a walking distance to each other, creating something like a round walk. The first inhabitants of the capital of Greece had built their homes on the Acropolis Rock, in the Prehistoric times. Along centuries, people started moving on the lower grounds around the rock and built an early temple to goddess Athena on top of it. Gradually they got organized as a city-state and made laws. The first innovative laws in Athens were set in the 8th century BC by Solon, who declared equal all Athenian men (except slaves) and abolished any inherited title or privilege. In fact, the laws of Solon are considered the cornerstones for the new political system that would be formed in the next centuries, democracy. During the Persian Wars (490-479 BC), the early temple of Athena in Athens was burnt down, as was most of the city. After the victory of Athens in the Persian Wars, the city largely developed in economy, trade and culture. Leaded by Pericles, Athens entered its Golden Age, as it is called. The political system of democracy was formed, giving all citizens the right to speak their voice in public meetings, vote for the fate of the city and hold official chairs. New philosophical ideas were born, impressive public buildings were constructed, including the Acropolis as we see it today, festivals would take place to honor the gods, education was open to every citizen and a new form of art was created, theatre. Unfortunately, the city declined after the Peloponnesian Wars (431-404 BC) and was largely destroyed with invasions by Northern tribes during the Roman times (2nd century BC- 3rd century AD). In the Byzantine and the Ottoman times, Athens was not of special importance. Only after the Greek War of Independence (1821-1828), did the city obtain some of its old glory. Looking for a connection between Ancient and Modern Greece, King Otto made Athens the capital of the country and constructed many impressive Neoclassical buildings that survive till today. The capital of Greece, Athens, is a very easy place to walk around. Start your walking tour from Kallimarmaro Roman Stadium (Syntagma or Evangelismos metro station), the place where the first modern Olympic Games took place in 1896. Ten minutes walk to the south, you reach the Temple of Olympian Zeus with the giagantic columns, and the Arch of Hadrian, constructed in the 2nd century AD to mark the borders of Classical and Roman Athens. Opposite the Arch of Hadrian starts a large paved road that leads to the Holy Rock of the Acropolis and the New Acropolis Museum. Walk this road straight ahead and you will reach Philopappos Hill with the burial monument on top and Pnyx Hill, where the ancient Athenians used to gather for their public meetings. Following this road, you get to Thissio, where is the entrance to the Ancient Agora and the Stoa of Attalos. Next to the Ancient Agora is the Roman Agora and the Library of Hadrian. 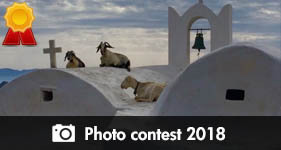 You have already reached Monastiraki and Plaka, the two oldest and most picturesque quarters of Athens. A short walk (or metro ride) from Monastiraki and you arrive in Omonoia Square, where is the National Archaeological Museum (Patission Avenue). 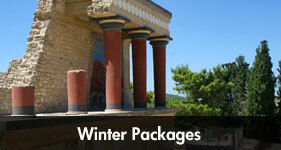 This museum hosts the most precious art pieces of the Greek history, from the Prehistoric till the Roman times. From Omonoia, you walk up Panepistimiou Avenue to see the Neoclassical trilogy: the University, the Library and the Academy of Athens. At the end of Panepistimiou, you find Syntagma Square, completing your sightseeing walk in the Greek capital. Athens is a lively place all day and night long. In the evenings, do not miss a traditional dinner in the many taverns of Plaka. All around the city, you will also find bars for a late drink. Most cosmopolitan bars are located in Kolonaki, while the bar streets of Gazi also get very busy. Alternative lounge bars are spread between Plaka, Monastiraki and Thissio.